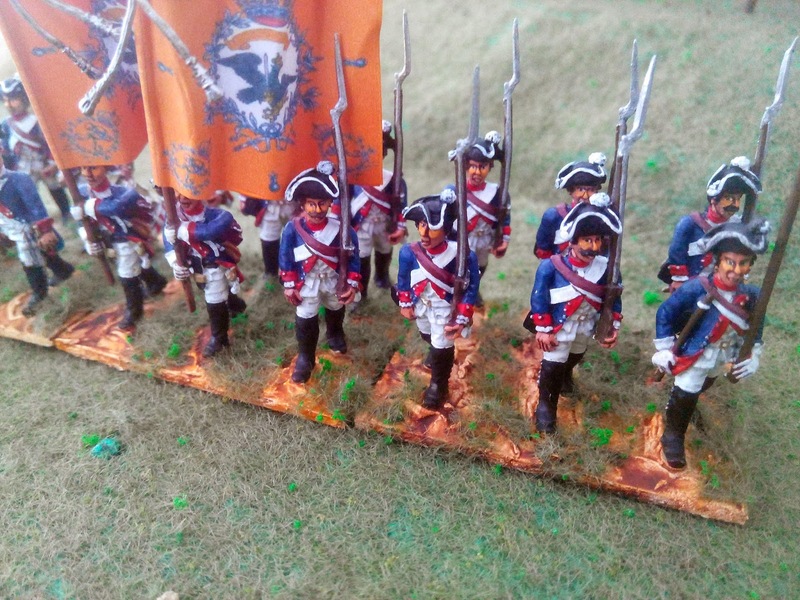 This is the start of a new project. 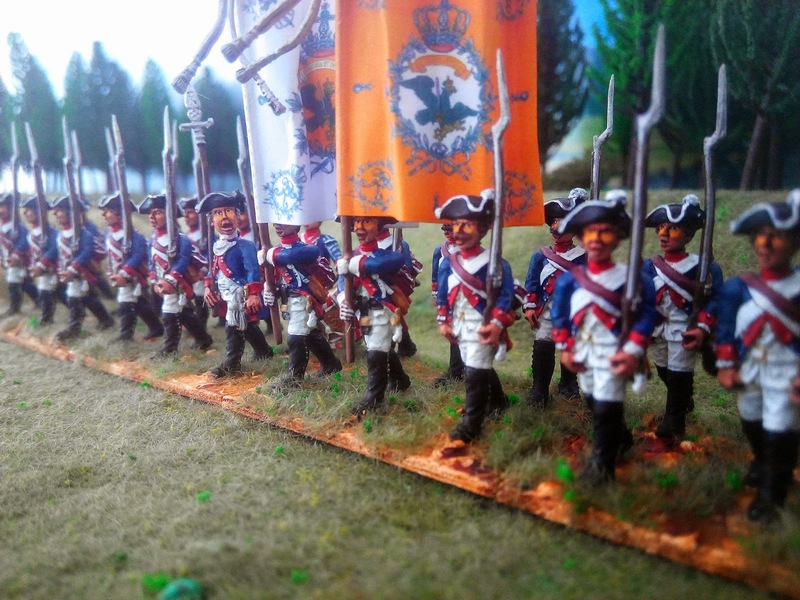 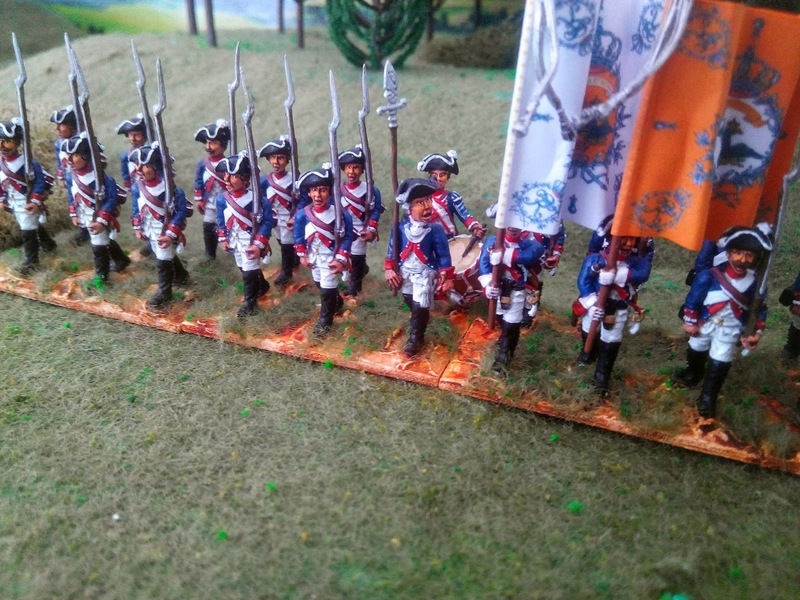 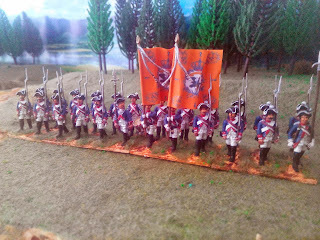 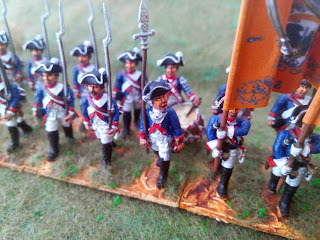 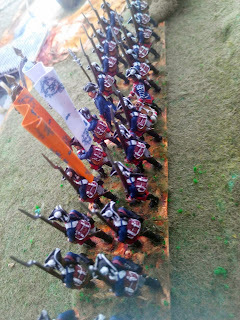 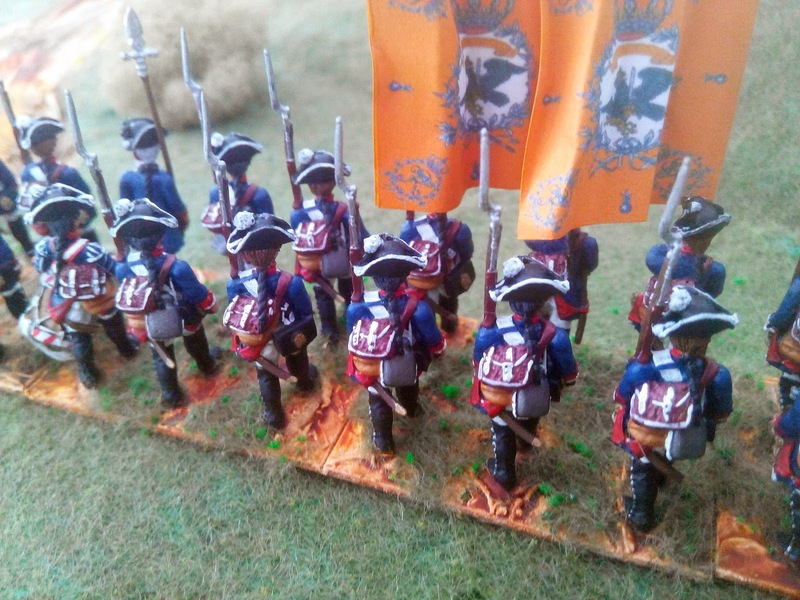 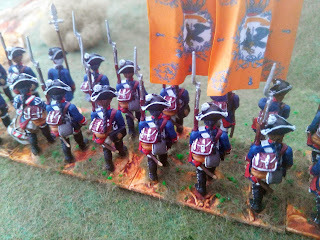 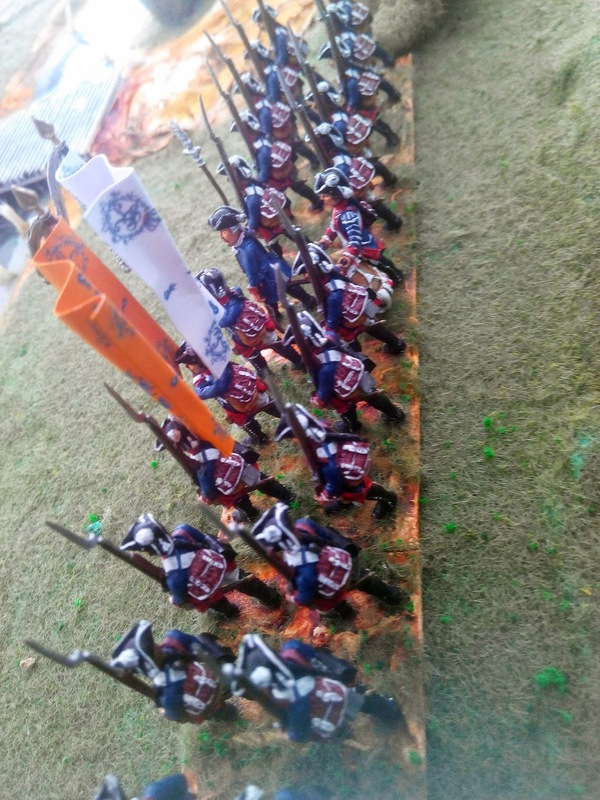 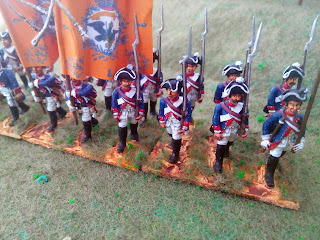 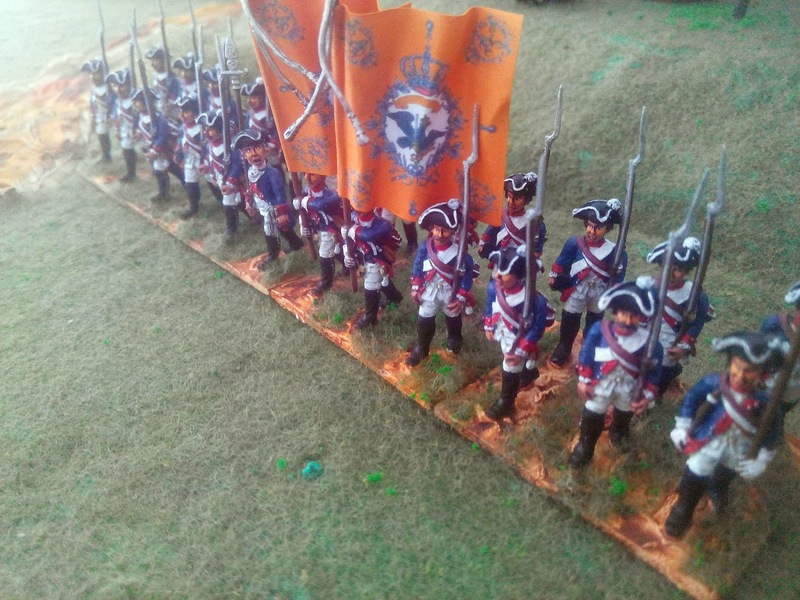 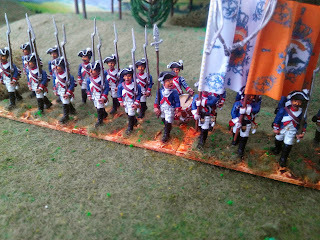 The target is to paint every single regiment of Prussian Infantry of the Seven Years War – musketeers, fusiliers, grenadiers and garrison regiments So over the new few weeks I will be putting up here the first six regiments (12 battalions of 24 figures) and continuing on after that. 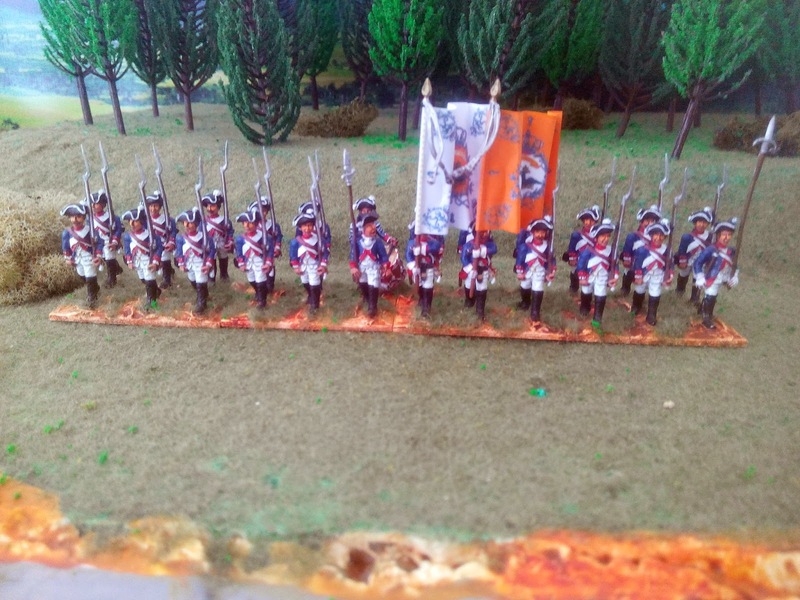 The sequence is IR1, IR2, IR4, IR5,IR3 (3 battalions) and IR6 (one battalion). 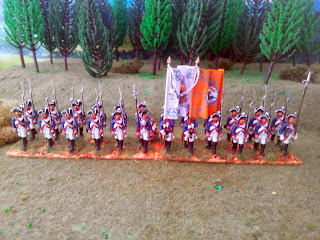 Each battalion is 24 figures of 25/28mm from the German manufacturer Black Hussar whose figures are the best available anywhere. 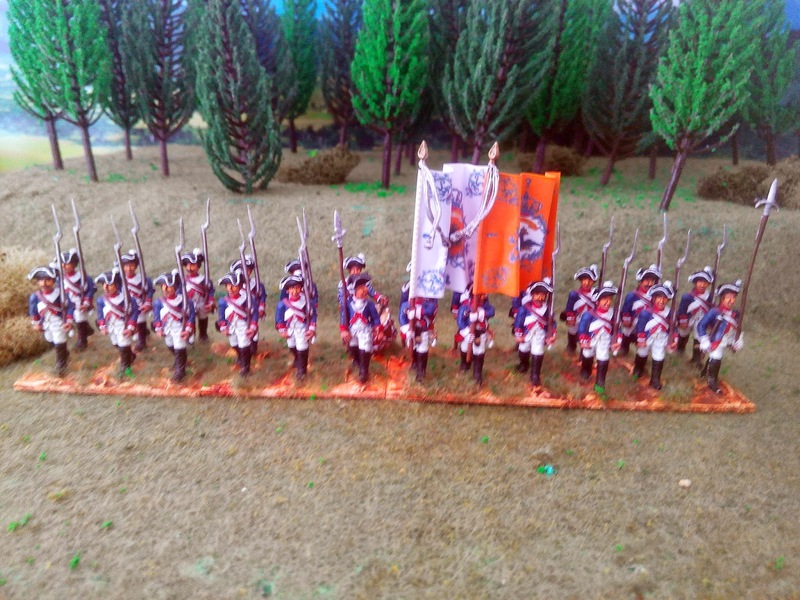 One officer, two standard bearers, one NCO, one drummer and 19 rankers in each battalion. 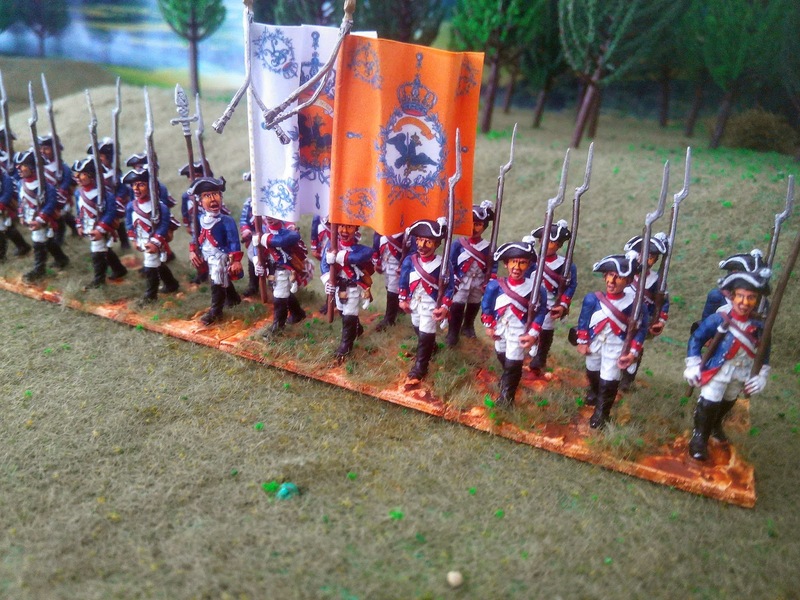 Here is IR1 von Winterfeldt, 1st and 2nd battalions. 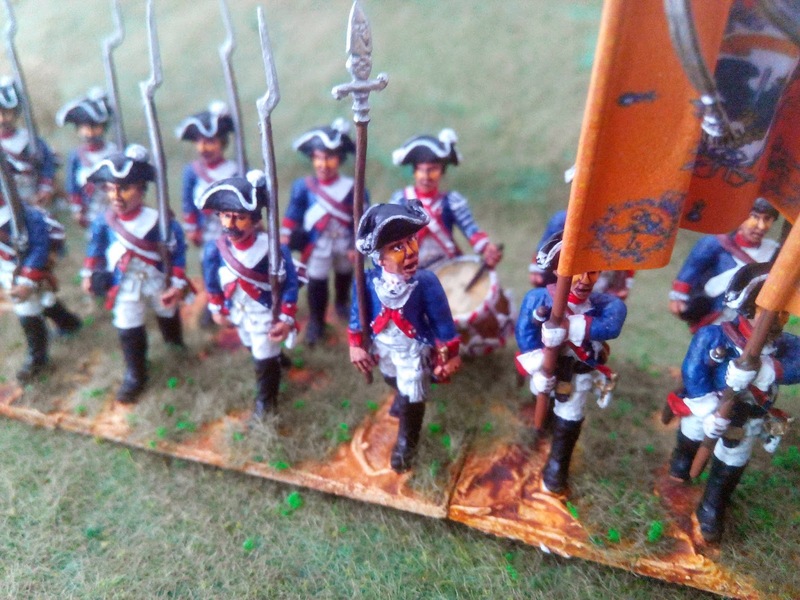 There are four bases, each 2” x 1.5” so ideal for many rules including Maurice.